Tom Fisher House is emergency accommodation which provides a safe sleep for long-term rough sleepers with complex needs. 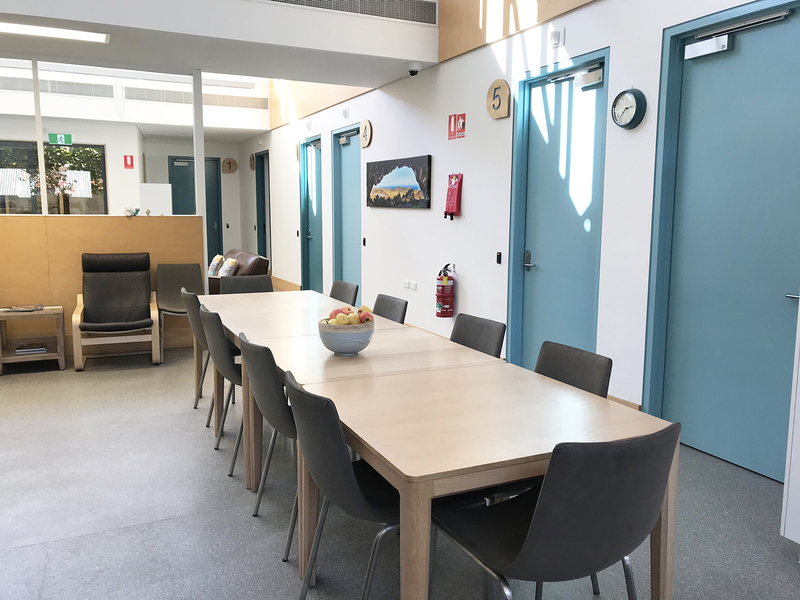 Named after one of the St Vincent de Paul Society's (WA) longest serving volunteers Tom Fisher, the service was opened June 2016 to help rough sleeping individuals and couples. Basic needs including showers, laundry, food, clothes, mailing address, and computers - just to name a few. Support staff to build a trust and rapport with residents whilst developing plans focussed on helping them out of homelessness. Referrals and pathways to other specialist services such as doctors, drug & alcohol support, and mental health aid. Collaborative care involving feedback to case managers working with residents. Tom Fisher House uses a low threshold approach which enables people with complex needs to engage in the service by reducing the barriers and restrictions to access the service. Tom Fisher House is for long-term rough sleepers with complex needs. It accommodates up to 12 people including men, women and couples. The service also accepts people with dogs. Read more about the opening of Tom Fisher House here or download a copy of the services flyer here.